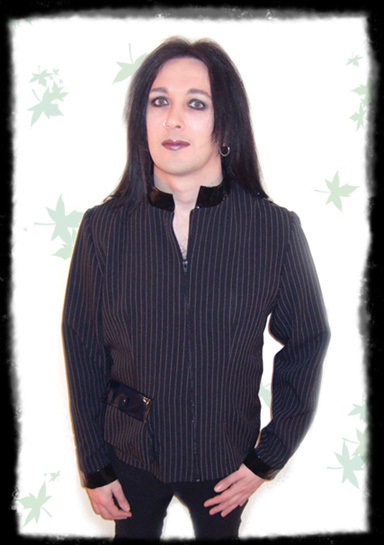 Gothic Pinstripe & PVC Jacket. 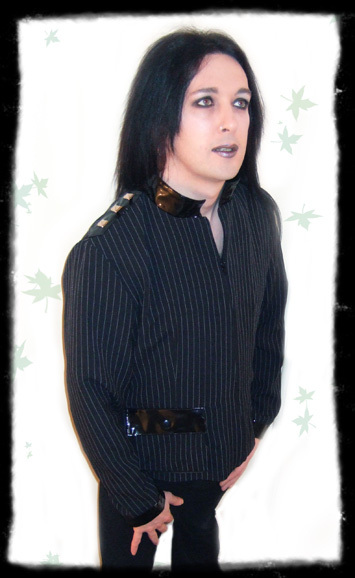 PVC Lapels on the Shoulders with 3 conical studs. Pinstipe pocket on the right with a Pvc Flap and button fastening. These are a limited edition so get one quick before it's too late! Made in Britain. High Quality Garment. Was £51.99, now only £19.99!